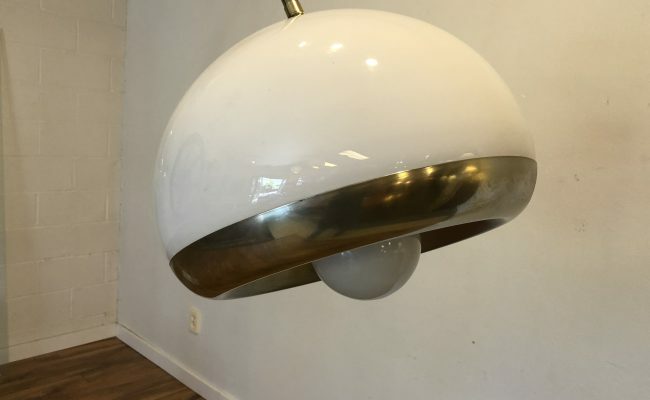 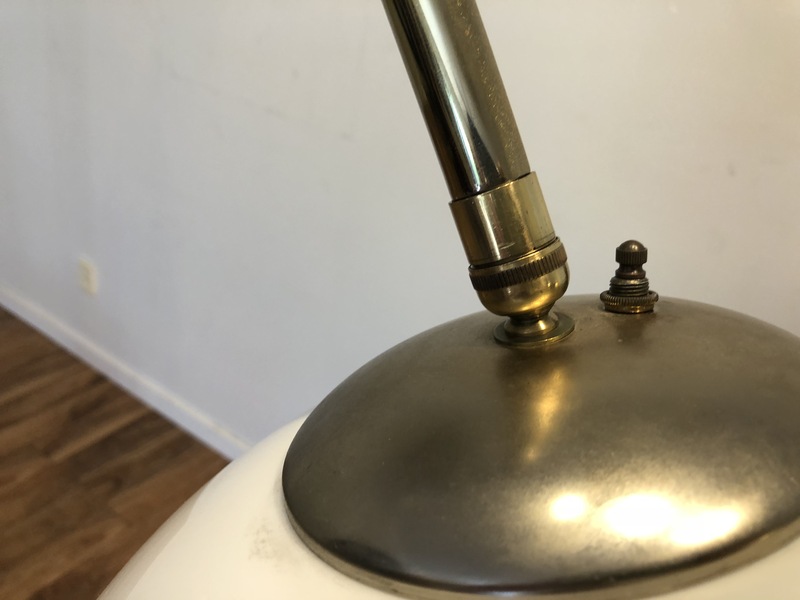 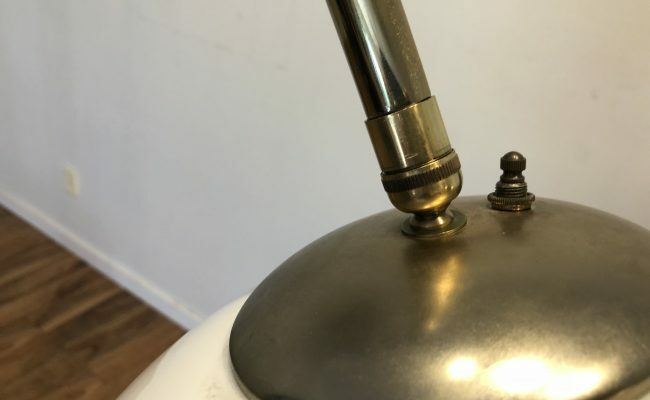 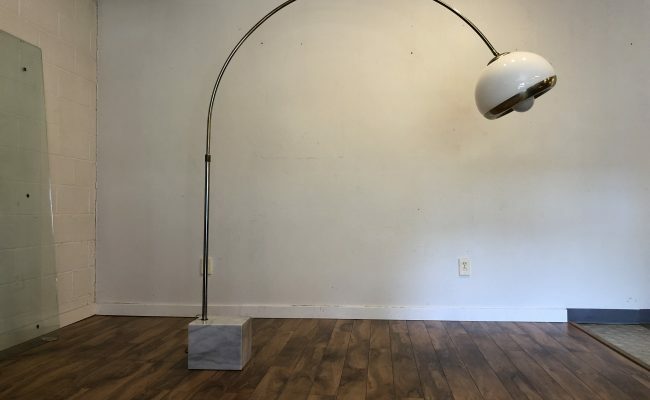 Arc lamp by Harvey Guzzini for Laurel, circa 1970s. 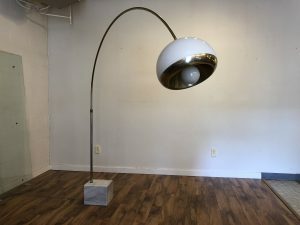 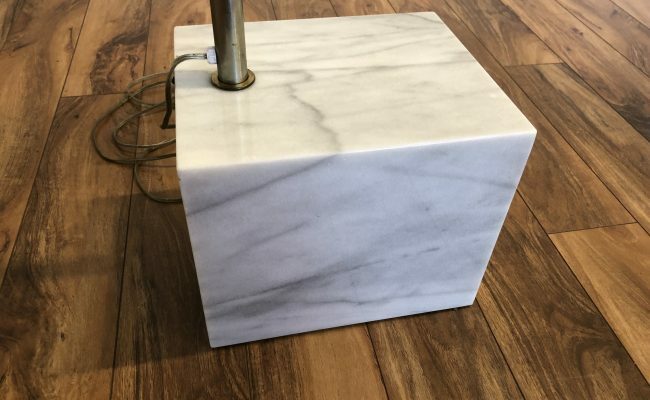 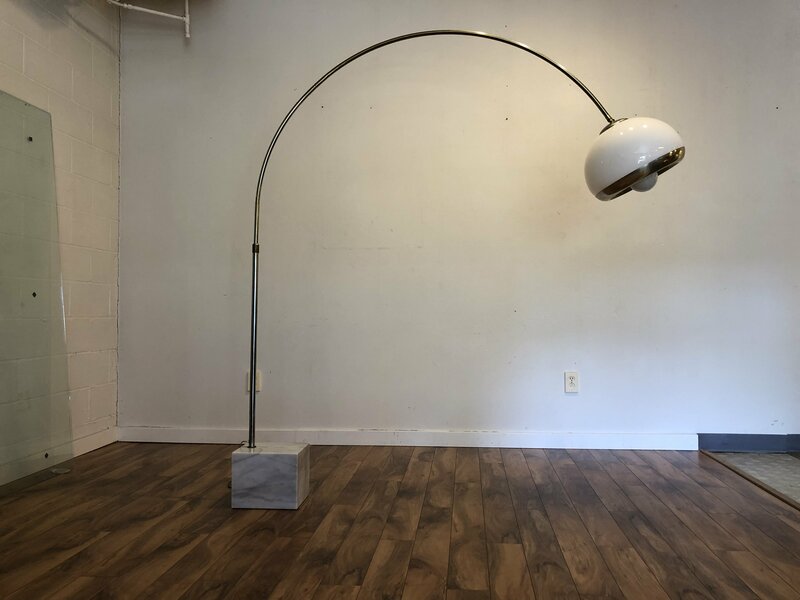 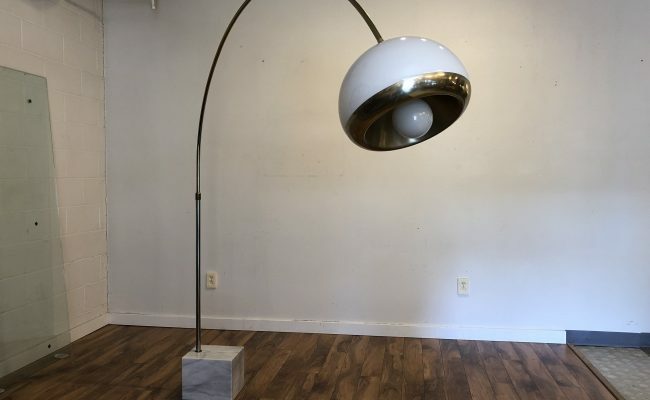 This gorgeous floor lamp features a Carrara white and gray marble base and a long curved stem that swivels. 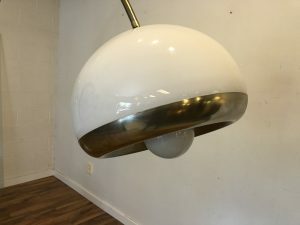 The lovely molded plastic shade illuminates along with a main light, lighting options include just the center light, just the shade or both. Switch along cord turns on and off, switch on shade has the different lighting options. 76" from base to shade, 80" high. 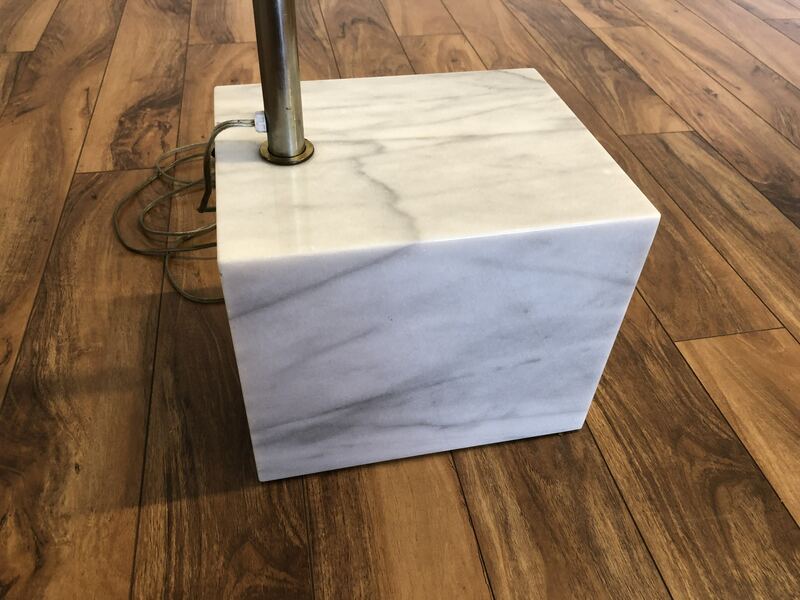 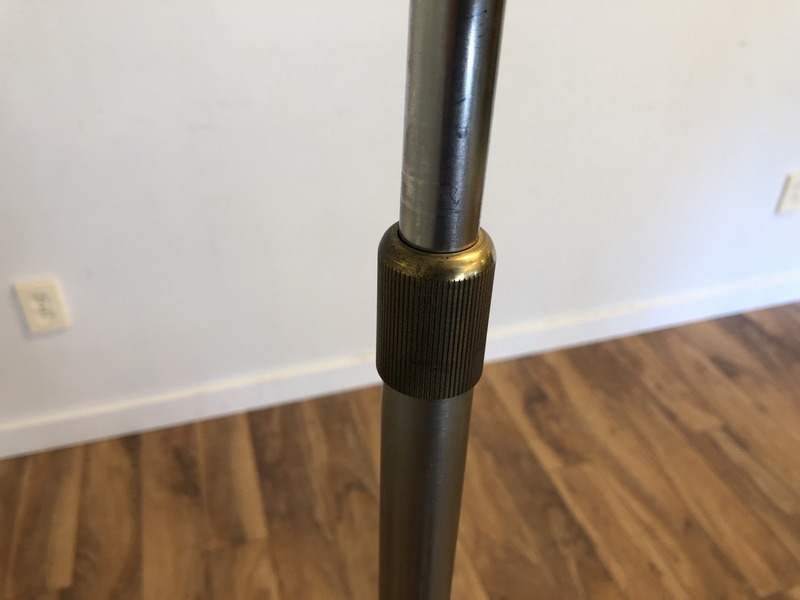 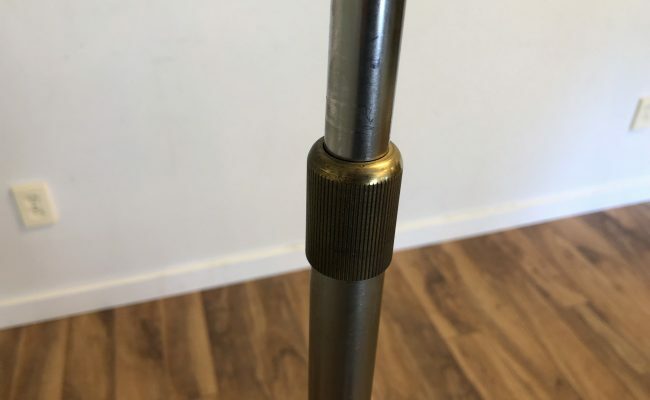 Marble counterweight base is 11" wide, 9" deep, 9" high, shade is 16" in diameter.